Despite the fact that an SBI-led consortium of lenders infused funds into the debt-laden airline, Jet Airways has not yet received the much-needed funds. 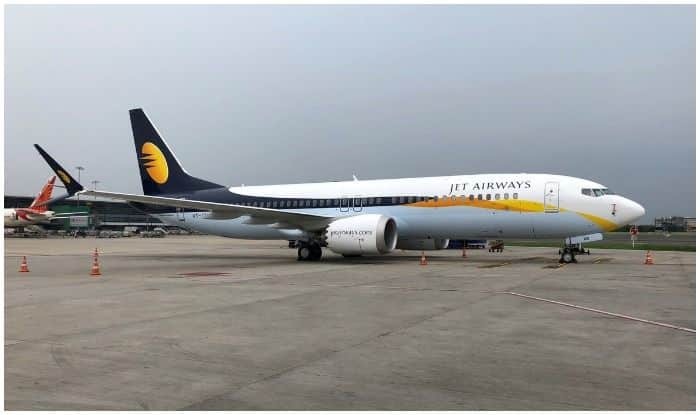 Mumbai: Indian Oil Corporation resumed the service of oil supply to the debt-laden carrier Jet Airways after it denied briefly on Friday from 12 noon due to non-payment of dues. The oil supply service to the airline company was reportedly terminated for one hour by the IOC on Thursday. On Tuesday, the private carrier said it has grounded 15 more aircraft due to non-payment of rentals to lessors, taking the total number of grounded planes to 69. Jet Airways has also allegedly missed the deadline of repaying a loan worth $109 million to financial services company HSBC Bank earlier this week, stated a report. In 2014, Jet Airways had obtained a loan amount totalling $140 million from the bank. The outstanding loan amount which was due on March 28, was part of a two-tranche facility, claimed sources. Jet Airways, in which SBI-led consortium of lenders is set to take management control under a debt-recast plan, has drastically curtailed operations with a fleet of 26 planes. On March 25, Jet Airways board had approved a resolution plan formulated by SBI-led domestic lenders. Under the plan, lenders agreed to infuse an emergency funding of Rs 1,500 crore into the airline, and convert the same into equity worth 50.1 per cent for a notional value of just Re 1 each share. The airline, however, has not yet received the much-needed funds. Notably, Jet Airways chairman Naresh Goyal and his wife Anita stepped down from the airline board, along with their two nominees and one from the Ethidad Airways PJSC on March 25. Jet Airways has also reduced frequencies on seven other overseas routes, mostly from Delhi and Mumbai, as per sources. An airline source informed that the airline has discontinued services from Delhi to Abu Dhabi, Dammam, Dhaka, Hong Kong and Riyadh up to April 30.